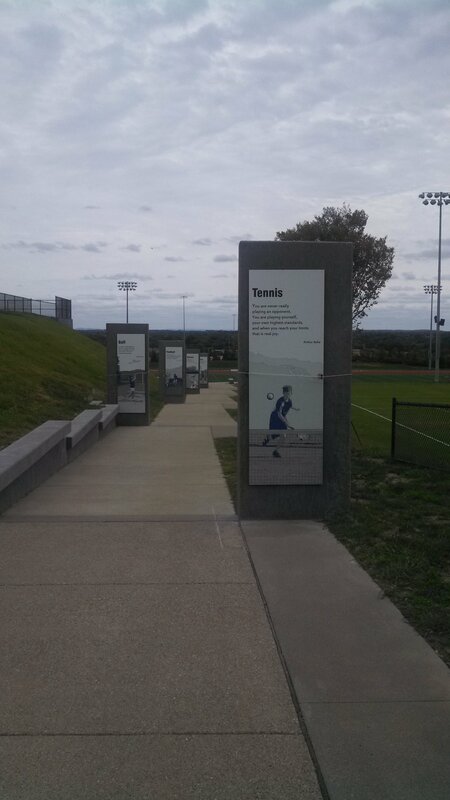 The Walkway of Champions was part of a renovation project to improve the sports fields at Franklin Road Academy. The initial effort of this project was a master plan for upgrades to the sports fields on the school campus including football, soccer, track, and tennis facilities. 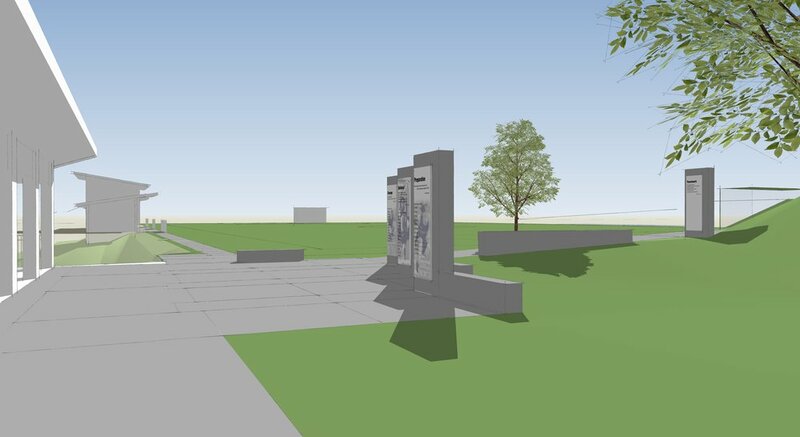 As a result, several new support buildings, facilities and accessible routes from the parking lot to the fields were also planned. 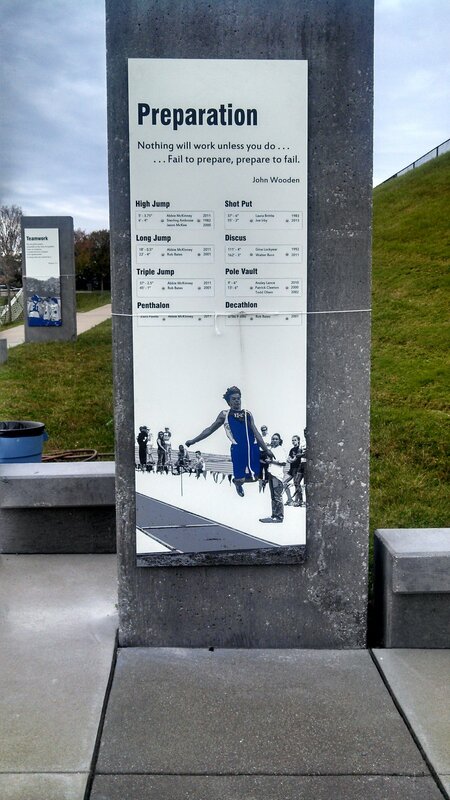 The upgrade for the athletic facilities included new track and field material and new structures, such as soccer press box and team room, restrooms and concession building, storage buildings, and tennis pavilion. 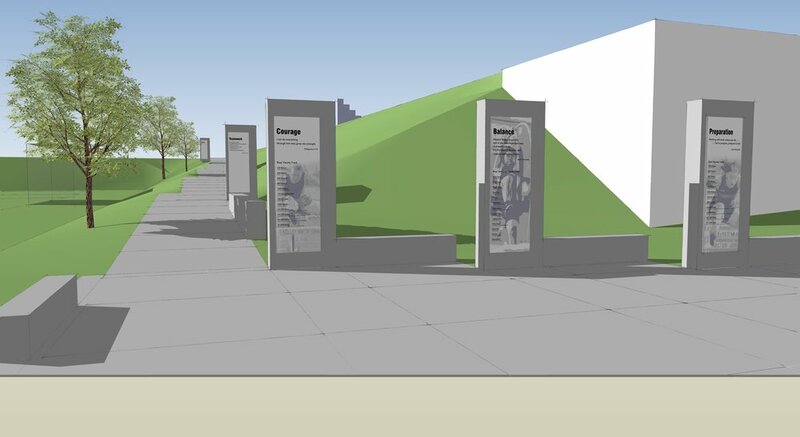 ADA accessible routes from the parking lot to the various athletic facilities were planned through the hilly site. An additional challenge was the evaluation of capacities, location and availability of existing electrical and plumbing services and determining the most effective way to bring services to the new structures. Although this project had very practical requirements, opportunities for meaningful design were part of the consideration as well. 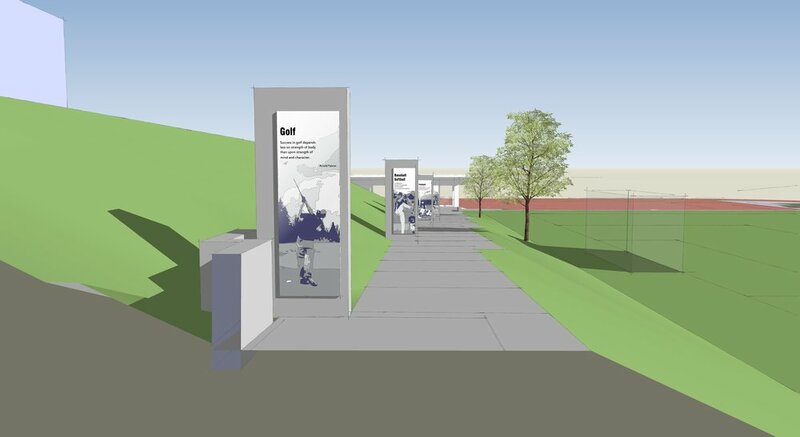 For example, the fairly long pedestrian path between parking and the various revised athletic fields was developed into a ceremonious walkway with granite pylons noting the characteristics of athletic competition including courage, balance, preparation, potential, desire, conviction, humility, and teamwork and celebrating some of the school athlete’s accomplishments. These pylons help to celebrate, remind and educate students, parents and visitors about the value of good sportsmanship and the reward of strong effort: the kind that make champions in school, athletics and life.